In September, world leaders are coming to New York City for a United Nation summit on the climate crisis. UN Secretary­ General Ban Ki-­moon is urging governments to support an ambitious global agreement to dramatically reduce global warming pollution. A march is organized in New York City for people to take a stand and demand a world with an economy that works for people and the planet; a world safe from the ravages of climate change; a world with good jobs, clean air and water, and healthy communities. Gandhi Earth Keepers International organizes an afternoon for people who are interested in the environment to network, to make art that will be used at the NYC march, and to learn about transportation to NYC. 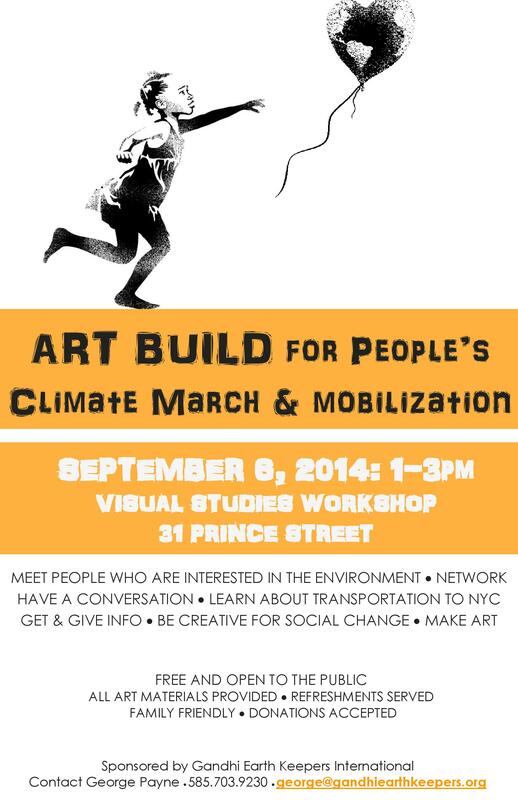 All art materials are provided and refreshments will be served.